Drug use is a significant risk factor for stroke, and it is often associated with stroke in young people who do not have the usual health problems that cause a stroke. But not all drugs have the same impact on stroke risk, and different drugs affect the body differently. Some drugs can cause a stroke by directly harming blood vessels in the brain while others cause stroke indirectly, by impairing other organs in the body — such as the heart, the kidneys or the liver. Common drugs of abuse that are known to increase the risk of strokes include alcohol, cocaine, amphetamines, and heroin. Although red wine in moderate amounts may protect you from having a stroke, heavy alcohol intake can increase your risk of having a stroke. Long term excessive alcohol use can increase the risk of stroke. The most notable effect of heavy alcohol use is the sharply raised risk of hemorrhagic stroke, which is a particularly dangerous type of stroke characterized by bleeding in the brain. The elevated risk of stroke that is associated with excess alcohol intake appears to be due to a combination of high blood pressure and impaired blood clotting abilities of the body. One of the ways that alcohol interferes with blood clotting is by damaging the liver. The liver makes proteins which are necessary to prevent spontaneous bleeding. When the liver cannot adequately make these important proteins, excessive bleeding can occur anywhere in the body, including the brain. If used in its intravenous form known as crack cocaine, it increases the risk of serious infections in the heart valves. This type of heart infection, called endocarditis, is among the many heart conditions that can lead to stroke. Heroin is an addictive drug that is commonly abused. Similar to intravenous cocaine, intravenous heroin also increases the risk of endocarditis, a condition in which bacteria enter the blood and grow over the valves of the heart. Small clumps of these bacteria, known as septic emboli, may leave the heart, travel to the brain and block a blood vessel in the brain, causing a stroke. Because heroin is injected, its use also increases the risk of diseases transmittable by the sharing of needles such as HIV and hepatitis C.
Heroin overdose can cause inadequate respiration, preventing enough oxygen from reaching the body. 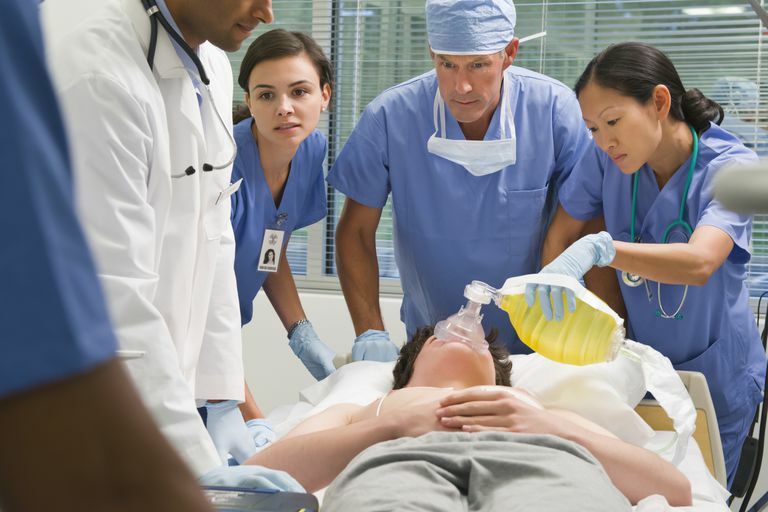 During a period of extremely low oxygen, a person can suffer from irreversible oxygen deprivation in the brain, even if he or she is revived and survives the overdose. There have been many reports documenting amphetamine use in the hours before a major stroke, even among young healthy individuals without stroke risk factors. Amphetamines such as methamphetamine have a powerful ability to produce sudden and extremely high blood pressure. As high blood pressure is the number one risk factor for stroke, it is not surprising that amphetamine use can increase a person's risk for stroke. As with cocaine, long term use of methamphetamine increases stroke risk by causing abnormal functioning in the blood vessels of the brain, while harming the rest of the body. Short term use of methamphetamine may result in a sudden stroke during or after use, largely as a result of sudden changes in blood pressure and heart function induced by methamphetamine in the body. A stroke is generally caused by long term health problems that build up over time, damaging the blood vessels and increasing the chances of having a blood clot or a bleed in the brain. Recreational drugs of abuse can produce sudden and dramatic effects on the body, causing a variety of serious health consequences. A stroke is one of these consequences. Recovering from a stroke caused by drug use is similar to the process of recovering from a stroke caused by any other disease — this includes rehabilitation and reducing stroke risk factors. When a stroke is caused by drug use, reducing the risk factor is focused on eliminating drug use and addiction recovery, which is more successful and longer lasting in a professional setting. Young people are more likely to experience a stroke associated with drug use, and recovery can be quite good because of the overall good health of most young stroke survivors. Stroke and methamphetamine use in young adults: a review, Lappin JM, Darke S, Farrell M, J Neurol Neurosurg Psychiatry. 2017 Dec;88(12):1079-1091. doi: 10.1136/jnnp-2017-316071. Epub 2017 Aug 23.